Joanne has spent 35 years in full-time practice as a barrister specialising in commercial real property with a particular interest in agriculture, the economic vehicles for farming, statutory protection and EU subsidy regimes. 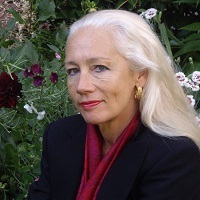 She has written or edited numerous practitioner books on agricultural holdings or regimes including the 14th edition of Muir Watt & Moss, the Agricultural Tenancies section of Hill & Redman (looseleaf) and two volumes of Halsbury's Laws 5th edition (Agricultural Land 2008, Commonhold 2009). She has appeared as an advocate at all levels both in the Courts system and before Tribunals and private arbitrators. She has acted as arbitrator, as adviser to arbitrators, as mediator, as jointly appointed legal expert, as retained specialist counsel to government in advising Parliamentary counsel, and has given evidence to Parliamentary committees as to the impact of areas of EU law. She has trained arbitrators for the Royal Institution of Chartered Surveyors, and lay Tribunal members for DEFRA. Joanne has run Masterclasses for the Agricultural Law Association, of which she was executive Chairman for six years. She is a Member and former Governor of the Anglo-American Real Property Institute, and also a Member of the Chancery Bar Association. She was for 20 years a Fellow of the Chartered Institute of Arbitrators (1990-2010). She is a current Member of the Savills Mediation Panel. Joanne joined the teaching staff of the BPTC course in July 2011, and continues part-time in practice as a barrister and also as a mediator. For the BPTC she teaches Advocacy, Civil Procedure, Alternative Dispute Resolution, and Landlord & Tenant. She has a particular interest in drafting and the correct use of English. Her professional writing and research interests include fisheries, food regimes, and marine protection. Moss, J.R. (2013). Moss on Agricultural Holdings. Moss, J.R. (Ed. ), Sweet & Maxwell. Moss, J.R. and Butterworths, (2009). Commonhold. Moss, J.R. (Ed. ), Butterworths Lexis Nexis. Butterworths, (2008). Agricultural Land. Moss, J.R. (Ed. ), Butterworths Lexis Nexis. Moss, J.R. (1998). Muir Watt and Moss Agricultural Holdings. Moss, J.R. (Ed. ), Sweet & Maxwell. Moss, J.R. (1998). Practitioners’ Handbook of EC Law. Moss, J.R. (Ed. ), Trenton. Moss, J.R. Hill & Redman Law of Landlord & Tenant, Agricultural Tenancies. Cole, E. (Ed. ), Butterworths Lexis Nexis. Muir Watt and Moss Agricultural Holdings (14th edition) 1998, Sweet & Maxwell Property and Conveyancing Library. Consultant, Halsbury's Laws of England, Fifth edition, 2013 Vol 51, Fisheries and Aquaculture (Butterworths Lexis Nexis). Consultant, Halsbury's Laws of England, Fifth edition, 2009 Vol 13, Commonhold (Butterworths Lexis Nexis). Consultant, Halsbury's Laws of England, Fifth edition, 2008 Vol 1, Agricultural Land (Butterworths Lexis Nexis). Consultant, Hill & Redman Law of Landlord & Tenant, Agricultural Tenancies (Looseleaf), Butterworths Lexis Nexis. Joint Editor, Agriculture in Practitioners' Handbook of EC Law (Trenton 1998).